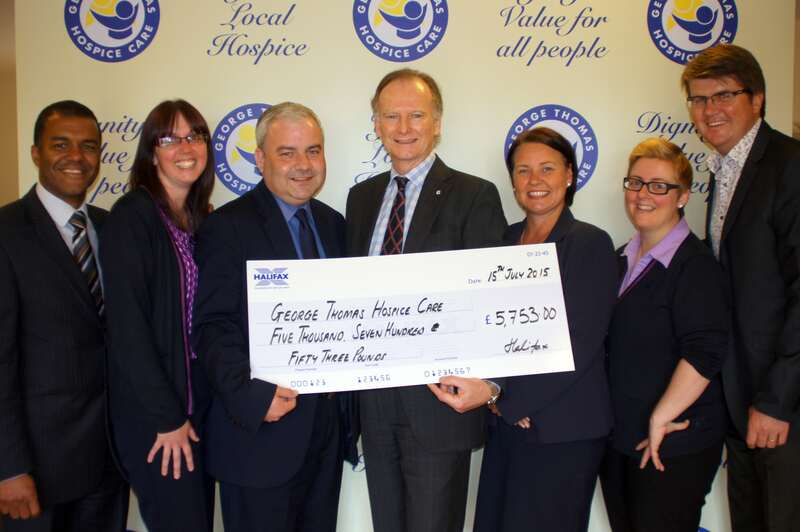 Halifax colleagues presented George Thomas Hospice Care in Cardiff with a cheque for £5,753 which was raised at the Big Lunch event at the beginning of June. On Sunday 7 June Halifax branches from across Cardiff came together to hold a Big Lunch and help bring the community together. The Big Lunch was held at the George Thomas Hospice Care’s annual raft race, with Halifax colleagues running a BBQ and stalls for spectators and competitors. Halifax also entered a team into the race, and together with the help of matched funding from Lloyds Banking Group, were able to present a cheque for £5,753 to the Hospice last week. The Big Lunch, a lottery funded initiative from the Eden Project, is the perfect recipe for having fun with neighbours and helping to build stronger neighbourhoods. It encourages people across the UK to meet up for a few hours of food, friendship and fun. Millions of people across the country have taken part in Big Lunches and given extra in their communities – demonstrating that we’re better equipped to tackle the problems we face when we face them together.